Don’t Say the ‘R’ Word is a book for children which was published by WSC in October 2014. The book is currently available in all Texas Region 9 elementary schools, multiple area hospitals including Cook Children’s Hospital, and various elementary schools across the country including those in Oklahoma, New Mexico, Arizona, California, Utah, Ohio, Virginia, Maryland, Oregon, Washington, and Washington D.C. The authors of this book are a group of WSC employees with disabilities who wish to share their views on diversity and integration. In their own words, they reflect on their life experiences and insights to refute negative stereotypes about people with disabilities. Elementary-age school children are the primary target audience for this book, and the authors hope that these children will gain a better understanding of people with disabilities and will learn to appreciate the value of diversity in our society. This book and its authors are a perfect expression of the mission, vision and values of Work Services Corporation. 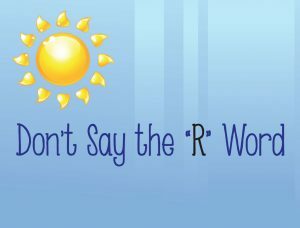 For more information about Don’t Say the ‘R’ Word or to get your own copy, contact our Staff Development and Training Manager. 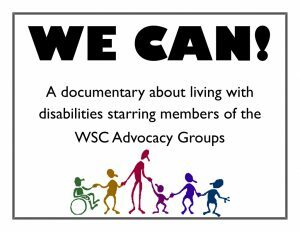 “We Can!” is a short film which premiered on February 24, 2016. The film is a project initiated by the WSC advocacy groups and like our children’s book Don’t Say the ‘R’ Word, “We Can!” is intended to help those who view it gain a better understanding of people with disabilities and learn to appreciate the value of diversity in our society. “We Can!” represents many hours of filming, script writing, acting and directing by members of the WSC advocacy groups in partnership with the Media Class at Hirschi High School. The film’s message is simple: people with disabilities are people, with a variety of employer-valued skills and abilities; people with disabilities can and want to work, creating a positive economic impact for our communities; and most importantly, no one should be a target of bullying or discrimination, especially a person with a disability! For more information about “We Can!” or to get your own copy, contact our Staff Development and Training Manager.